"I invented this recipe for a quick dinner. 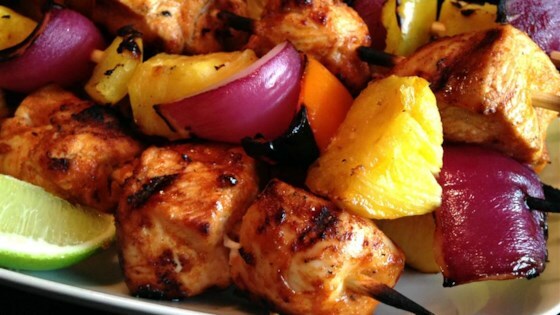 I only marinated the chicken for one hour, but I am sure if you marinate longer, it would taste even better." I did not make kabobs with this; instead, I marinated 4 chicken breasts overnight in the marinade and broiled these. They were really good and tender with a nice kick to them.